Portugal is one of the few countries in Europe now where diesel remains dominant and it looks as though it will not change any time soon. Diesel cars comprised 61% of the 2017 new car market (a fall of just 3%) with gasoline sitting at 34% and plug-in hybrids and EVs doubling sales to 4,200 cars (1.9%). New car sales in Portugal continue to grow and are slowly getting back to the pre-2012 crash levels. Sales rose by a healthy 7.5% in 2017 to 260,654 units, while January to May 2018 the market rose to 123,428, an increase of 5.3% compared with the same period in 2017. The fall in new car sales experienced in 2012 to 111,299 units is still having a major impact on the supply of used cars coming into the market. Around 68,000 used cars were imported (around one quarter of new car sales) in 2017 to help satisfy consumer demand. This has been the only way the industry has been able to balance the supply with demand and is likely to continue until such time the industry’s new car market shows strong and consistent levels of annual growth. Diesel Renaults and Peugeots are the most popular and typically cost between €8-10,000. Typically the Renault Mégane, Peugeot 208, 308 and 508 are all in high demand from independent dealers. Many of these used cars are imported via Autorola’s online remarketing portal with cars being purchased predominantly from France, Germany, Belgium and Holland. Within a few days of buying online, the used cars can be on a dealer’s forecourt ready for sale. Portugal has a strong passion for French cars, with the Renault Clio and Peugeot 208 the year’s best-selling models. This duo is closely followed by the Nissan Qashqai, while Mercedes is the most popular premium brand. One key spoiler in the new car market could be the new WLTP regulations. Introduced to measure fuel consumption and CO2 emissions from passenger cars and vans on a more real-world basis, WLTP affects the global automotive sector and will put all OEMs on the same band width. The Portuguese government is yet to announce the fiscal impact of the new legislation. With new car taxes already very high in Portugal it could be extremely harmful for some brands. The government could choose to introduce a new transitional legal framework to control the taxes’ impact based on CO2, which would help support new car sales. Whichever route they take, it leaves the market in a period of uncertainty, which is not a positive place to be for consumers and businesses looking to buy new cars. A demanding low-emission zone has yet to be launched in any Portuguese city and diesel remains the most popular fuel. However, low-emission hybrids and zero-emission cars, such as the popular Nissan Leaf, will continue to grow while the Portuguese government incentives are in place. Autorola has been at the heart of the used car industry for many years and been a key contributor to the digital transformation of the motor industry. The country continues to grow its reputation as having a high technology infrastructure and used car vendors from dealers and leasing companies, to banks and rental companies have embraced online selling. Over the past five to six years, some 50% of business cars have been sold online at an average price of €10-12,000. Typically, the used cars are between three and four years of age with around 110,000km on the clock. 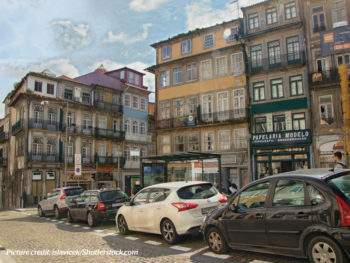 Companies such as leasing, rentals and dealer groups have had great results online across the Autorola group and, in Portugal, hold regular weekly online sales to dispose of their cars. Trade buyers have been switched onto buying used cars online for many years. Many use their smartphones to bid online while the smaller independents market many of their used cars via social media. The technology revolution is alive and well across all industries in Portugal, which explains the country’s acceptance to adopt the INDICATA real-time used vehicle management portal. Agreements are already in place with Renault, Toyota, Kia and the VW Group as dealer groups value the real-time insights INDICATA provides to ensure they run their used vehicle businesses as efficiently as possible. Used cars are vital to help drive profitability within dealer groups, especially when they are in such high demand across the country. Having access to detailed insights about their local used market and that of their close rivals has been welcomed by dealers. OEMs are also using it to create a country-wide picture of their entire used car stock, in particular average stocking times. A detailed breakdown of GDP confirmed that the economy shifted to a lower gear in the first quarter of the year due to a fall in exports. Available data for the outset of the second quarter offered a mixed picture: industrial production accelerated markedly in April, while retail sales lost considerable speed. Prospects appeared brighter in May, with consumer confidence and business sentiment climbing to higher ground. Moody’s recently highlighted that, while the country’s fragile banking system has strengthened on the substantial decline of non-performing loans (NPLs), banks’ holdings of NPLs are still very high compared to that of Eurozone peers. The continuation of the economic recovery and increased regulatory pressure on banks should help to further cut NPL ratios. Economic growth is set to remain healthy this year, supported by a thriving tourism sector and a surge in foreign direct investment. The influx of investors is expected to keep the housing boom afloat. Private consumption growth should remain resilient, underpinned by strong employment generation that should buttress wages and keep labour market dynamics improving. Growth is expected to moderate from last year, however, due to an anticipated slowdown in domestic demand. FocusEconomics panellists expect the economy to grow 2.2% in 2018, which is unchanged from last month’s forecast, and 1.9% in 2019. According to the recent survey of consumer sentiment released by the National Statistics Institute (INE) on 28 June, consumer confidence fell to a six-month low of 1.3 points in April, down from 4.1 points in May. It moved closer to the critical zero-point threshold that separates optimism from pessimism; the indicator has been in optimistic territory for more than one year now. The downturn in sentiment reflected less upbeat readings in all components underpinning the headline. This included a less optimistic outlook on the general economic situation in the country over the next 12 months, along with reduced optimism regarding households’ financial situation over the same time span. In addition, households were more pessimistic about their savings ability over the next 12 months. On the other hand, consumers held a more positive view over the unemployment situation in the next year. Meanwhile, the overall economic climate indicator inched up to 2.4 points in June from 2.3 points in May. Business sentiment in the manufacturing sector deteriorated for the sixth month running owing to reduced demand. The outlook in the trade sector was also slightly less optimistic in June due to less upbeat sentiment on wholesale and retail trade. Conversely, sentiment in the construction and public works sector was less pessimistic as the outlook on both the current order books and employment over the next three months were more upbeat. In addition, optimism was up in the services sector, thanks to an improved business situation and demand over the next three months.